Do you guys remember way back in January when we posted a trailer for the creepy Sundance entry, "The Babadook?" Of course you do. Well now there's a second official UK trailer out for the Jennifer Kent-directed-and-written film and we've learned (via Bloody Disgusting) that the film will be released here in the States on November 28. If you live in the UK, you luck out on October 24. The book mentioned in the film will also be able to read soon...even if you just click here, you can hear him call out to you. He has quite a lovely voice. 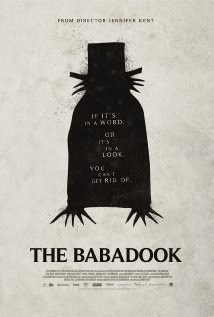 Enjoy the second trailer and let us know if you're exited to meet The Babadook. I know we are. Maybe he'll even visit you tonight when you're trying to fall asleep? Fingers crossed!